Unless you were born and raised in the South, you likely have no idea what goober peas are, and the name just makes you confused. Factor in the fact that the snack food is not peas at all but young green peanuts boiled whole in salt brine and you are might be besides yourself. Of course, if you are in fact from the South you're going to be pretty happy to hear that you now need only go as far south as DUMBO to get your hands on some goobers. A Brooklyn couple began making the snacks to feed passersby bat a stoop sale near their Brooklyn apartment, according to the Daily News. One of those passersby happened to be food blogger Andrea Strong of the Strong Buzz, who, after popping some salty goobers in her mouth, implored the couple to bring their treats to the Brooklyn Flea. 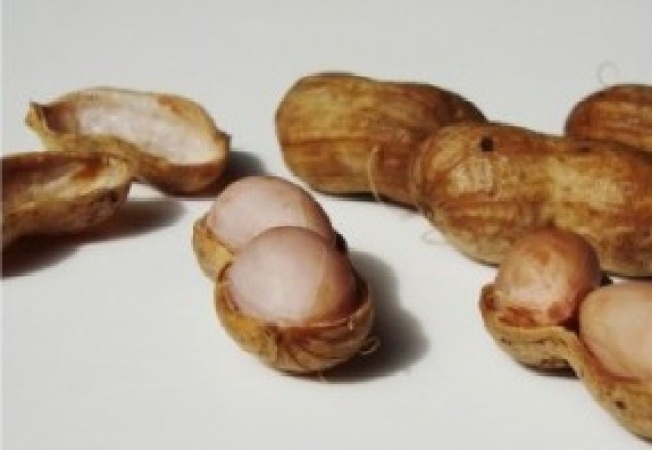 "To find boiled peanuts, a really kitschy, artisan kind of thing, made in Brooklyn ... I thought, this is a slam dunk," Strong told the News. Chris Dial and Kate Burke, who moved to New York from Florida three years ago, sell small bags of goobers for $2.50 each, boiling up batches at the market made from 40-pound bags they have shipped up from Florida. The couple now offers delivery to Manhattan and sell their peanuts through the website BoiledinBrooklyn.com. But Goober season will soon be over. The immature peanuts they are made from will only be available until about mid-November, after that they're gone until August. Get 'em while they're hot.